Under Construction. Under construction. 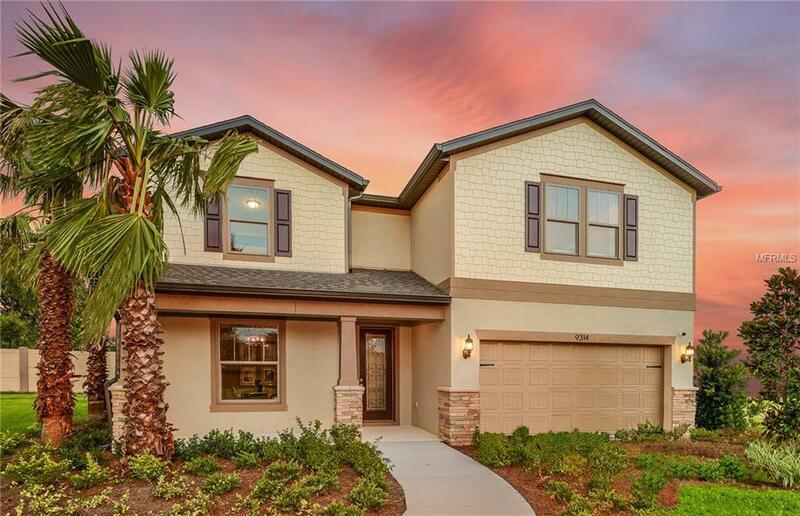 The captivating and spacious Citrus Grove Home in the high-demand area of Wesley Chapel in the first Crystal Lagoon community in the country, LAGOON IS NOW OPEN! 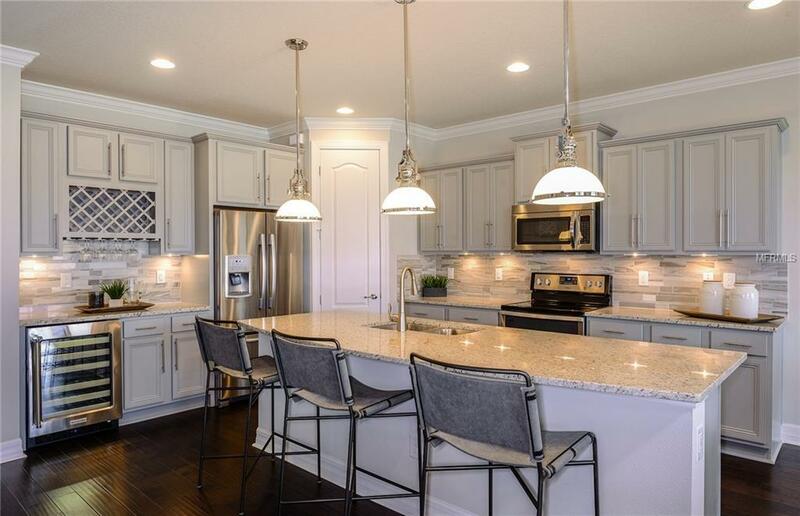 This beautiful home is available in March and will be complete with charming upgrades and bonus spaces galore... Craftsmanship-style front porch exterior with elegant stone columns, 8' glass front door, extended covered lanai overlooking scenic water view and preserve area on large backyard! 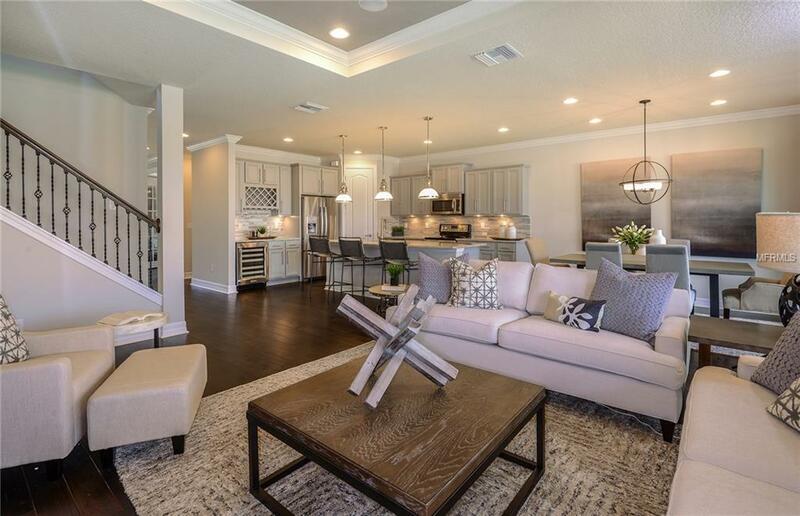 premium cabinets and upgraded granite throughout, marble-look tile, tray ceiling accent ceilings in gathering room and owner's suite, spa-like super shower in owner's bath, stainless steel appliances including fridge, washer and dryer included plus luxurious utility room upgrade with cabinets and sink! Similar model pictures shown are for illustration purposes only, options may vary.